Read through chapter 17 by tomorrow! Finish through chapter 3 of To Kill a Mockingbird by Wednesday. Complete your rough draft by Thursday. 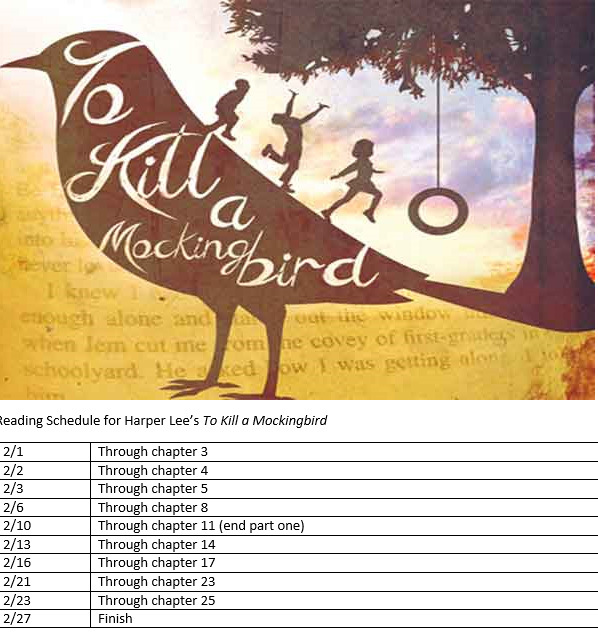 Read chapters 1 – 3 of To Kill a Mockingbird by Wednesday, February 1.